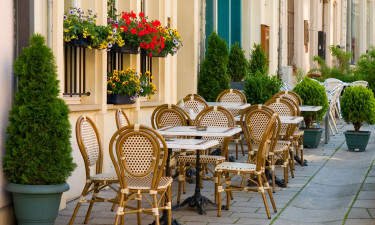 Luxembourg may be one of the smallest countries in the world, but its location in north-western Europe between Belgium, France and Germany makes it the perfect destination for a luxury camping holiday. The whole country covers less than 1,000 square miles and remains largely undiscovered as a camping destination, but that doesn’t mean that its natural, cultural and historical attractions are any less impressive. Contact LUX-camp today for more information on camping in Luxembourg! Why Should I Camp in Luxembourg? On the whole, the geography of Luxembourg is characterised by gently rolling hills and broad, shallow valleys. Campsites in Luxembourg are deliberately positioned to allow guests to take advantage of prestigious natural settings.Tourism is, and has long been, a major activity in Luxembourg and the country is renowned for its high standard of customer service. Of course, no visit to Luxembourg would be complete without a visit to the capital, Luxembourg City, in the south of the country. Artistic, cultural and historical treasures include the old town, which is a UNESCO World Heritage Site. 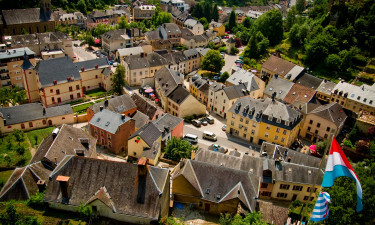 The most popular camping region in Luxembourg is Larochette, in the centre of the country on the White Ernz river. Larochette Castle, which dates from the 11th century, stands on a sandstone promontory overlooking the picturesque market town of Larochette, itself, and offers spectacular views of the valley below. Luxembourg is renowned for the diversity of its fauna and flora, and roughly one-third of the country is set aside for nature reserves. In the north of Luxembourg, in the Ardennes, the Obersauer Nature Reserve and Our Nature Reserve are characterised by high plateaus, deep valleys and forested slopes. In the south, the Haff Reimech Nature Reserve is home to the so-called “Wine Trail”, which starts at the Moselle River and winds for 26 miles through scenic landscape, including many excellent wineries. Luxembourg only measures 51 miles by 35 miles so wherever you choose as your luxury camping destination, major attractions are never far way. Highlights include the Grand Ducal Palace, in the centre of Luxembourg City, and Vianden Castle, 30 miles or so north of the capital, but only an hour away by public transport. Les Thermes is an award-winning water park complex just to the west of Luxembourg City and offers clean, modern swimming pools for all the family, a wellness centre, spa and sauna. Luxembourg has a rich cultural heritage, which is actively promoted by the national academy, known as the Grand Ducal Institute. Cultural attractions include the Luxembourg National Museum, the Museum of the History of the City of Luxembourg and the National Museum of Natural History. Of course, the culture of Luxembourg is also reflected by its cuisine, which shows definite signs of French, German and Belgian influence. Specialities include cheese, fried fish and sausages of various types, plus a selection of locally-produced beers and white and sparkling wines. 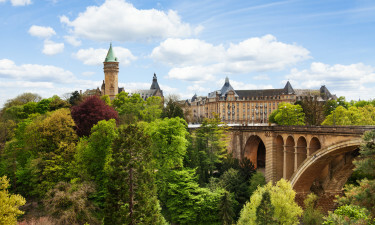 Luxembourg enjoys a modified continental climate, characterised by mild winters, cool summers and abundant rainfall. In Luxembourg City, average temperatures range from approximately 0.7°C in January to approximately 17°C in July. The north of the country is slightly colder and more humid than the south. 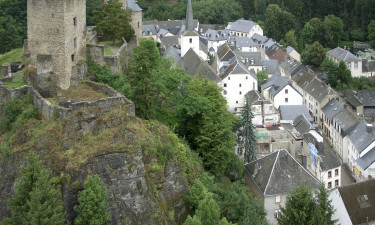 The valley of the Moselle River, which forms the frontier between Luxembourg and Germany for a short distance, receives the least amount of rainfall, at approximately 27 inches per annum. Luxembourg became a country in its own right in the 10th century and, despite falling under various spheres of influence and occupation over the years, has remained so ever since. Luxembourg became an entirely sovereign nation in 1866, but was illegally invaded and occupied by Germany during World War I and World War II. Following its liberation in 1944, Luxembourg joined the United Nations, the North Atlantic Treaty Organization and, later, the European Union.